Fernando Romero was talked up as having electric stuff and potentially being a real weapon out of Rocco Baldelli’s pen. Unfortunately, when the rubber met the road, it turned out Romero required more seasoning, and he was optioned to Triple-A last night. That isn’t the problem, but the fallout is. Across 9 2/3 IP down in Fort Myers, Romero coughed up 10 runs (nine earned) and fanned seven while walking eight. He started out strong, but really faltered down the stretch. With Opening Day firmly in focus, the decision had to be made. Romero was going to need more time settling into his new role for Rochester. While it’s more than fair to suggest keeping Romero stretched out as a starter would’ve made sense, the consensus could be that he simply isn’t cut out for it. 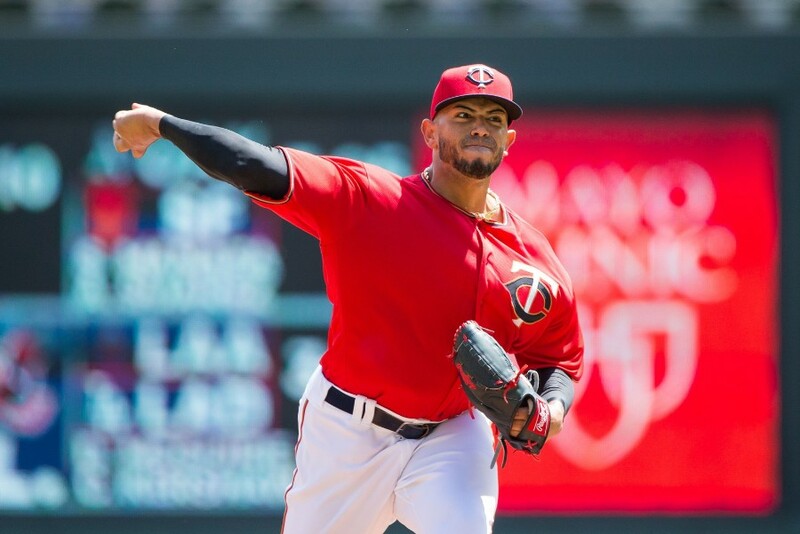 Regardless of the feelings from 1 Twins Way, the reality is that Romero is now going to upstate New York and will work a couple times a week throwing something like 20 pitches per outing. It will groom him for the role outlined for him in 2019 but doesn’t do much to help development as a rotation factor in the years ahead. We now know Romero’s path, and it was written on the wall for a matter of days now, but this is where Minnesota’s offseason starts to fall apart. Derek Falvey and Thad Levine failed to address pitching in almost any capacity. Blake Parker and Martin Perez have the chops to be nice additions, but they do little to raise the overall water level of the group, and don’t enhance depth at all. Going into spring training, Romero was viewed as (and talked about from team officials) as a key cog in this pitching staff. The minute that didn’t happen, things start to crumble. Add in the fact that Addison Reed hasn’t looked good at all, is now hurt with a trip to the IL possible, and things get rather bleak quick. Non-roster invitees Ryne Harper and Mike Morin are the two biggest names left in camp vying for one bullpen spot. It’s commendable that both have seized their opportunity, but them factoring onto an Opening Day roster that should have a divisional opportunity in front of them is a result of poor planning. Harper has displayed a Bugs Bunny curveball but he’s a near-30-year-old career minor leaguer. He posted a 5.19 ERA at Triple-A Rochester last season, and while the strikeout and walk rates have both been great on the farm, no one has ever deemed it worthy of a callup. Morin, on the other hand, has 186 major league appearances to his credit, most of them coming with the Angels. Neither option, Harper or Morin, is at fault for this. If nothing else, they’re doing everything in their power to be the solution to an organizational problem. By relying solely on the emergence of Romero, or the breakout of Matt Magill, Minnesota’s brass balked at opportunities to sign Joakim Soria, Kelvin Herrera, Brad Brach, Adam Ottavino, or even Craig Kimbrel. Martin Perez could’ve been added with another starter, allowing the “loser” to go to the pen. Any number of options could’ve been explored, but the suggestion was that we have this figured out. Maybe a handful of months from now we’ll look back on this as much ado about nothing. Romero could figure things out quickly at Triple A, come up and immediately be the weapon he was billed as. Maybe Harper or Morin will stick, and the front office will look great for their conviction. The flip side, however, is that the already non-existent depth is being exposed before Opening Day, and we know more names are going to be called upon. Paying relievers, and pitchers in general, is a fickle business practice. Good teams don’t let the elite pitchers get away and cashing in on high quality relievers before they go belly up is a smart practice. Playing in the minefield of free agency for these types is dicey, but unless you have a reliable stable of your own, targeting strong depth that pushes everyone else down a rung makes a ton of sense. The expectation for this club should be, and will remain, that the lineup will hit. Production 1-9 from this group should be plenty to win games on a nightly basis. Where they might lose the credibility comes in the form of trust placed on a suspect pitching staff serving up many more questions than answers. Right now, the front office believes in depth arms, I’m not ready to support them in that though. Here’s to hoping it’s this blogger with egg on his face. Thanks for this. I have only two words and one sentence to add: Ryan Pressly. What were they thinking? It was so frustrating seeing them pass on so many bargains out there that could have been helpful. I only chose RP's that signed for less than $5M. I would hate to see them actually spend money to win a division that nobody wants to win if you look at what Cleveland has done this off season. Go out and get Kimbrel right now, after a couple of weeks May becomes your Romero as Kimbrel takes over the 9th. Projecting development is always tough but I have to say that this is the most disappointing offseason I could imagine. It would be nice to give Cleveland a run for their money and the appeared to be daring Falvine to make an effort.I can hear the echo's of "stay the course" on their long term plan but some help for the bullpen could have easily been achieved without "leaving the course." I did not like seeing Pressly leave the Twins. However, I did read Patrick Reusse's article this morning in the StarTrib and it made me feel a little bit better about watching Pressly go. While I don't think they acted enough on RP, I disagree with the premise that they were relying on Romero magically saving things. In fact, I don't think they're big fans of his given how they used him so far. My dad suggested last week that Romero would not make the team.I didn't agree with him and mentioned that there would be riots at Twins Daily if that happened. Unfortunately Romero's performance changed all that. My dad was right - he is not ready.Here is hoping he can be lights out in Rochester and help the Twins down the road. I don't understand Falvey/Levine's plan of fixing the lineup with several good positional players, but then adding a single pitcher to a MLB deal. It seems like, once again, we're partially competing and partially trying not to win. Over the past 3 years, most on TD seem to predict Romero as an ace-type. Most scouts have put him as a #4 or a reliever. We have a tendency to get attached to our prospects. Bullpens evolve and change during the season more than any other aspect of a baseball team. Let's see what happens during the regular season, and let's see how the FO handles the gaps and deficiencies. Crissakes, guys are already throwing in the towel on 2019. They did go get Marwin when they saw the size of Miguel Sano's celebratory gash. I think they have decent depth at Rochester. I'm more comfortable with Eades, Harper, Collins and Morin than I was in past years. So glad they didn't go dumpster diving. Craig Kimbrel is still unsigned, and the Twins watched multiple quality relievers (Allen, Miller, Ottavino, etc.) all get snatched up for reasonable deals elsewhere. Meanwhile, the Twins payroll is going to be well under that of last year's Opening Day. The Twins needed to sign one of those guys before all this happened. I guess you reap what you sow, unfortunately. Yeah, I could almost understand standing pat with the rotation as I didn’t like the free agent starters at all. However, the bullpen could have easily supported three legit additions, and there were plenty of good relievers available for very cheap. Even plenty good ones who had to settle for minor league deals. I’d like to hear the reasoning for not trying for even the Tyler Clippard/Bud Norris/Adam Warren types. I agree with you and I will be watching how they handle those gaps and deficiencies. I will remain focused on it. They decided to roll with what they have in the bullpen. I'm OK with that decision unless they don't handle the gaps and deficiencies. Like they didn't do last year. I don't criticize the FO. The Twins haven't played a single game that means anything. Those who jump to conclusions end up with egg on face. People were criticizing the Perez deal. He show up throwing 97 MPH. Don't hear much criticism now. People desperately wanted Gonzalez. Now we have an article basically pointing out that he has been off this spring. Again, read my second sentence. Lighten up Francis. For those of you not named Francis, relax you guys. FWIW, Ryne Harper had a 2.33 FIP at Rochester and 1.21 FIP at Chattanooga last season, and .364 and .361 BABIP, respectively.Also he had 32.1 and 33.1 K% and 4.6 and 3.3 BB% in these 2 stops last season. This tells a bit different (and more complete IMHO) story than his "5.19 ERA". Re: Romero's spring:He had a 8.38 ERA and 1.759 BABIP.If that is concerning, how concerning should Odorizzi's 13.50 ERA and 2.700 BABIP be?And I'd argue that Odorizzi and Romero pitched about at the same level in the majors last season.If Romero is not "cut out as a starter", Odorizzi is not either. There other fish to fry in the Twins' pen, including the guy with the worst WPA in the majors last season who they might still be thinking about taking up North...That would be a great addition by subtraction there, if they don't.Romero was hardly the problem last season. May, Rogers, and Parker will be fine at the end of the pen.Harper and Mejia could be fine at the 5th-6th innings.Another arm or two can pitch mop up.The Twins will definitely see how far they go and will act accordingly in the deadline. I'm guess you meant WHIP instead of BABIP, but your point stands. Magill and Odorizzi have had awful spring trainings, but nobody bats an eye, they're on the team. Romero has a couple bad outings? Nope, time to ship him to AAA. Plus, Addison Reed, if healthy, would be in the bullpen no matter how poorly his spring went. The veteran will always get more rope in the Twins system, that's just how it goes. the Twins have a lot of guys they have invested in, besides Romero. Stewart, Gonsalves, Mejia, plus others mentioned in this thread. Give them a shot. Good bullpen guys happen that way - who ever thought Ryan Pressly or Taylor Rogers were top notch until given the chance? I like to think the plan behind building a bullpen should either be creative or good. Parker is somewhere in the middle, and they added no one else. Squeezing more out of Magill isn't exactly creative. They could've went out and got any number of guys that could slot into high leverage, and pushed everyone else down a rung. Instead they went after Blake, and are banking in the guys on the bottom of the totem pole being more than they've ever been. Sure, there's nothing wrong with that, but the trio you just mentioned are ALL starters. Last September this same front office didn't give a shot to a deserving Jake Reed, or even a Ryan Eades type. If you weren't going to give relievers a look then, why would you plan be to transition some of your best starting prospects into relief bullets now. All of this comes back to shuffling that wouldn't have been necessary had there been action to allow the cream of the depth crop to actually rise. If people are willing to overpay, you take it. And people were willing to overpay for Pressly. Don't get me wrong, he's a very good pitcher. But they really overpayed for 1.3 years of service. Maybe more than this, I wonder what they were thinking about Fernando Rodney, who wasn't pitching that badly and for whom they got quite a bit less in trade last season than they did for Pressly. Not sure the Rodney Experience wouldn't be more beneficial than one additional stockpiled prospect at this point. I wish that, if Romero's going to go back to Rochester, they'd let him get back into the rhythm of his old role rather than settling into a new one.